MZT: Center of Run for Fun | ¡VidaMaz! In the many years we’ve loved Mazatlán, a whole lot has changed. In the six years that we have lived here full time, one hugely noticeable difference is the focus on sports. It perhaps started with the Triathlon del Pacífico, now a hugely successful annual event. We live on the malecón, right in front of the baseball stadium, and every weekend it seems there is at least one sporting event: a marathon, fun run, swim, bike, or mini-triathlon. Yesterday there was a big run in the Bosque/City Park. All weekend is the 4-wheeler/off-road race, Ruta PataSalada. This morning is another run in the Bosque, and, wonderfully for us, a 2 km obstacle course race on the beach in front of our house. Mexico surpassed the USA in 2013 to become the country with the highest rate of obesity in the world—33% of Mexicans are overweight. Mexico still ranks second behind the US in rates of diabetes—one in six people here have the disease, and 70,000 Mexicans a year die from it. This change in the culture of our city, to get people out and moving, and most importantly, enjoying themselves while doing it, is an enormously welcome culture change! One frustration is that it is often hard to get good facts about events like today’s. They are advertised on the radio, in some of the fitness centers around town and sometimes mentioned in the paper. Luckily, we have two very good sources here in Mazatlan. The Mazatlan Running Group page on Facebook is a great source of information on various runs in the area. 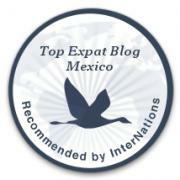 There is also an awesome blog called Carreras atléticas en Mazatlán. I do not know the writer of this blog, Xavier Padilla, but he takes a lot of time to find all of the information about running events as it becomes available here in Mazatlan. Gracias Xavier. As you can see, it has a pool of mud, a labyrinth, walls, a pool of ice and many more challenges. If we were not leaving town, Greg would be in this for sure. Hopefully some of you will sign up and report back—guest blog posts are welcome. Stretch before and after, hydrate and train—see you outside! Hi, I’m coming to Mazatlan for 5 months and would like to join a running group. Was hoping you could help me with this. 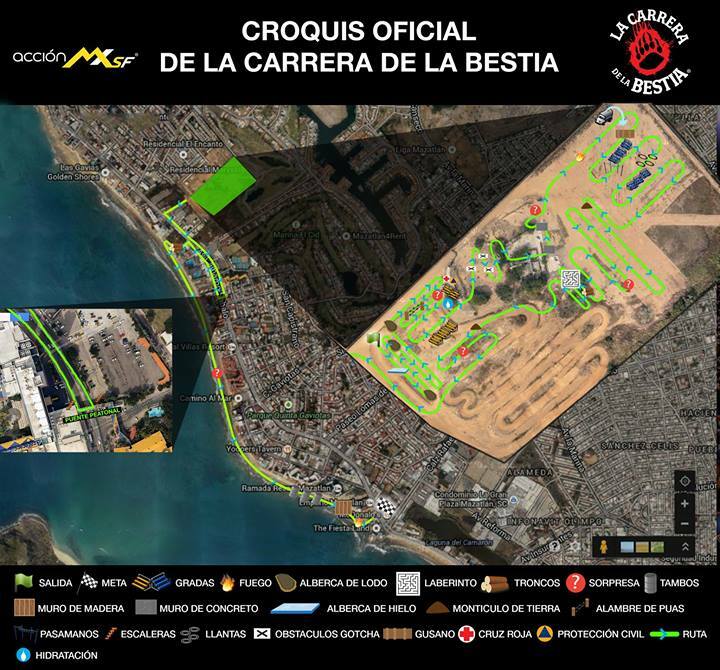 The largest running group, and really the only one that is kind of organized is called the Mazatlan Running Group (MRG). There are a handful of English speakers in the group, but most only speak Spanish. Ages vary from young adults to seniors. They run as a group Friday mornings and one or two evenings a week. In addition they organize to run as a team in the many 5K, 10K and larger runs in town. They even coordinate to run in organized events outside of Mazatlan. My advice is to join their group on Facebook https://www.facebook.com/groups/114639831881424/ The leaders are Chris Arechiga and Isis Villafuerte Tun Naal. Isis speaks more English than Chris, but you can reach either of them on the group page. Hope this helps! Thanks for following our blog.